The 1973 military coup in Chile deposed the democratically elected Salvador Allende and installed a dictatorship that terrorized the country for almost twenty years. Subsequent efforts to come to terms with the national trauma have resulted in an outpouring of fiction, art, film, and drama. 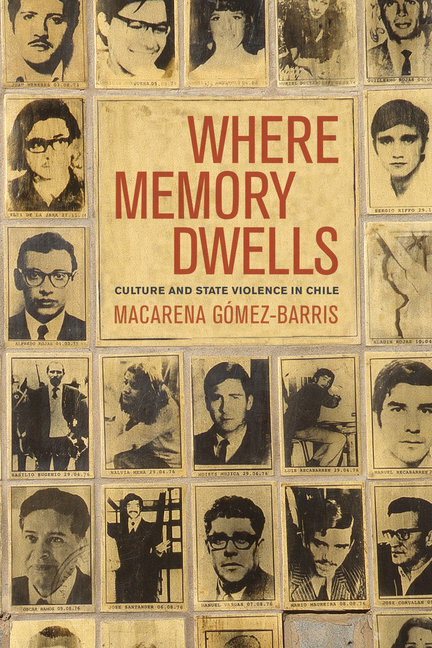 In this ethnography, Macarena Gómez-Barris examines cultural sites and representations in postdictatorship Chile—what she calls "memory symbolics"—to uncover the impact of state-sponsored violence. She surveys the concentration camp turned memorial park, Villa Grimaldi, documentary films, the torture paintings of Guillermo Núñez, and art by Chilean exiles, arguing that two contradictory forces are at work: a desire to forget the experiences and the victims, and a powerful need to remember and memorialize them. By linking culture, nation, and identity, Gómez-Barris shows how those most affected by the legacies of the dictatorship continue to live with the presence of violence in their bodies, in their daily lives, and in the identities they pass down to younger generations. Macarena Gómez-Barris is Assistant Professor of Sociology and American Studies and Ethnicity at the University of Southern California.